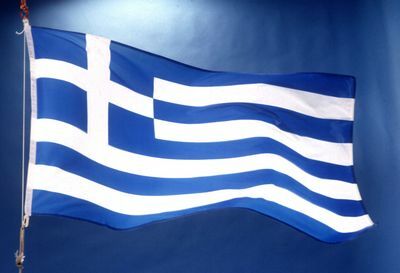 Greece is in a bad state, there is no doubt about it. When a country builds up a billion dollars in debt (some estimates are 30% of GDP) and shows no mechanism to repay there is little good that can be said about the circumstance. Without the assistance of an EU German backed bailout there is a very good chance Greece will be forced to default on its debt. If you were to believe the general media this is tantamount to the outright failure of the nation which can result in nothing short of the entire country descending into chaos and likely taking the rest of Europe and the West with it. "Greece’s default on debt reached an almost pandemic reoccurrence at the turn of the century… Greece has been in default roughly one out of every two years since it first gained independence in the nineteenth century." On a local level a default of government debt is disastrous, on a national level painful; on an international level it is nothing more than an inconvenience. Have no doubts about it, if Greece defaults it will likely effect the overall confidence of investors in the west. But a default in Greece should not have any direct and sustained impact to those economies not directly tied to the rise and fall of Greece’s national debt and bond structure.